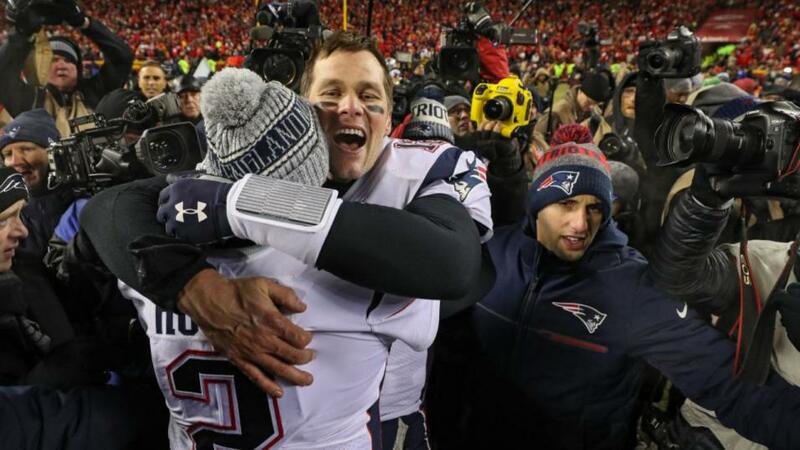 "Since Belichick and Brady first came together the Patriots have won their division 16 times, reached 13 AFC Championship games while victory over the Los Angeles Rams in Atlanta will confirm a record-tying sixth Vince Lombardi Trophy for the organisation." After a gripping AFC Championship weekend, which saw both games go to overtime for the first time ever, the New England Patriots find themselves heading to another Super Bowl to face the LA Rams in Atlanta. The current era of dominance enjoyed by the New England Patriots is one of the greatest ever and the sustained levels of success and supremacy may never be equalled as Tom Brady and Bill Belichick head to their ninth Super Bowl together and the Patriots' 11th in total. Since Belichick and Brady first came together the Patriots have won their division 16 times, reached 13 AFC Championship games while victory over the Los Angeles Rams in Atlanta will confirm a record-tying sixth Vince Lombardi Trophy for the organisation. Without doubt Tom Brady is the greatest player the NFL has ever seen and has broken just about every record going when it comes to his achievements in the game, leading the way in pretty much all categories going for a quarterback. But it's not just his numbers that make him such a key player in this Patriots side, it's his ability to drive the side and get the very most out of those around him time-and-time again; a role he excelled in during the second half of the season. Brady is looking for his sixth Super Bowl ring and could well be named MVP for the fifth time in Atlanta next Sunday but he won't be thinking about that right now; what motivates him is team success and that's why, even at the age of 41, he's as invaluable to the Patriots as ever. 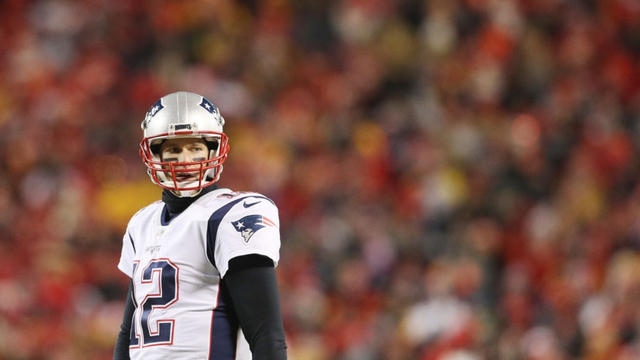 With a quarterback like Brady pulling the strings it's a pretty sure bet that your offence is going to be pretty potent and that was certainly the case in the Patriots' AFC Championship game win over the Kansas City Chiefs. And they're not just dependent on Brady's arm as, in that game against the Chiefs, they ran 94 offensive plays with only one loss and that was when Tom Brady took a knee at the end of regulation. It helps when you've got the tools to work with too and the Patriots boast some of the best runners in the game with James White, Rex Burkhead and Sony Michel in red hot form at the moment while it's worth noting that since the Belichick-Brady era began almost 20 years ago, they are 11-0 in the postseason when a player rushes for 100 yards. Their solid running game also allows them to control the clock, a vital component in such a big game while they can also rely on the likes of receivers Chris Hogan and Phillip Dorsett to get on the end of Brady's zingers while tight end Rob Gronkowski provides reliability and potency in equal measure. Unlike most perennial champions the Patriots have never been ones to rely on their defence when it comes to success, in fact they don't even have a defensive coordinator as they rely on coach Brian Flores to call the plays. In fact the Pats defence is somewhat underrated as they call upon a bunch of guys to work as a unit rather than boasting Hall of Fame household names and superstar Pro Bowlers to make the headlines. New England's secondary very much relies on man coverage, something which has served them well this season, but cornerback Stephon Gilmore and safety Devin McCourty will need to be on their game against the potency of Rams QB Jared Goff while Aaron Donald, the Rams' defensive tackle is the best in the NFL and he could make life difficult for Brady. Bill Belichick is widely considered the best NFL coach of this century, while some regard the 66 year old as the greatest there has ever been as he goes into his ninth Super Bowl as head coach of the New England Patriots. 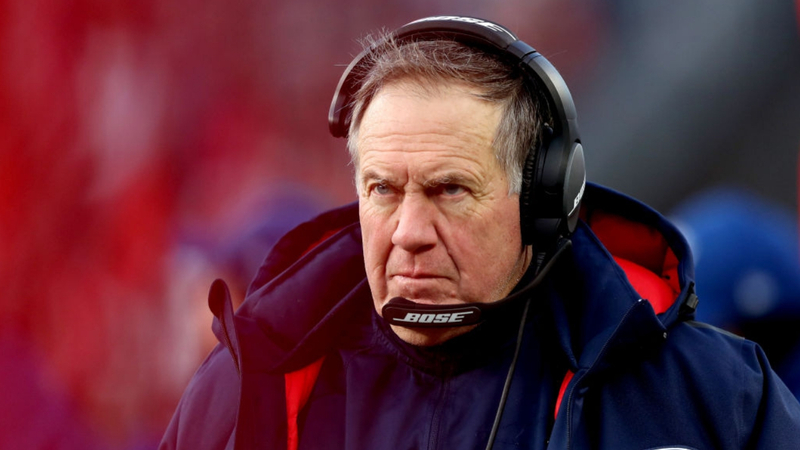 For many a man of his age, who has enjoyed so much success, defeat in last year's Super Bowl would have been enough, but not Belichick, even when a poor start and a couple of costly defeats in December looked to have denied him the chance of another crack. However, great champions never give up and the fact that his team have even got this far shows how this man has the ability to galvanise his players and get the very best out of them until they have nothing left to give and there would be few in the game who would begrudge him a sixth Super Bowl ring on Sunday. The Patriots are not the best team in football, despite the amount of success they have achieved in recent years, and they now come up against a team who are young and hungry to experience just some of the glory they have enjoyed. Sean McVey was just 16 when Brady and Belichick won the Super Bowl in 2001 but the young pretender to their throne has proved his natural leadership ability and willingness to evolve as a playcaller in just two years as the Rams head coach. The Rams offence is pretty impressive too, boasting a much-improved quarterback in Goff, the dynamic duo of Todd Gurley and C.J. Anderson, not to mention two 1,000-plus-yard receivers in Cooks and Woods. But there's no substitute for experience and the Pats have been there and done it, pretty much more than anyone else in recent history and that know-how, combined with the tactical nous of Belichick and the ability of Brady might just be the difference in the end. The New England Patriots were underdogs for the AFC Championship Game against the Kansas City Chiefs but this time around they are narrow favourites to lift the Vince Lombardi Trophy, mostly due to the fact that they always seem to find a way when needed. As the saying goes, success breeds success (or something like that) and the five-time Super Bowl winners are narrow -3 favourites on the Handicap Market, probably more to do with sentiment than logic against a very good Rams team. Once again Rob Gronowski is bound to be key in a pretty versatile Pats offence and is 10/1 to score a touchdown at any time next Sunday night while the ever threatening Todd Gurley is 13/2 to get the first TD of Super Bowl LIII. Super Bowls are usually tight affairs and the Patriots are kings of the late comeback as we know so a late win is always likely, but we've been treated to so many high scoring, exciting encounters this season that you might want to back both teams to score 2+ touchdowns in each half at a very tempting 15/2.